PowerApps lets you quickly generate, customize, share, and run mobile apps with little or no code. By using the Dynamics 365 connector, you can create useful mobile apps to share with your organization in just a few minutes. 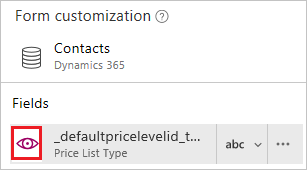 By following the steps in this topic, you'll create an app in which users can browse, add, delete, and make updates to contacts in Dynamics 365. Users can run the app in a browser or on a mobile device such as a phone. To follow this tutorial, you need a Microsoft Office 365 account that includes a Dynamics 365 subscription. In the left navigation pane, click Connections. Near the upper-right corner, click New connection. 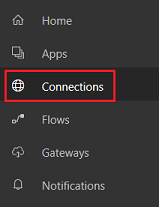 In the list of connections, click Dynamics 365. In the Sign in to your account dialog box, provide your credentials for the Dynamics 365 (online) tenant. Sign in to PowerApps, and then click New app near the lower-left corner. 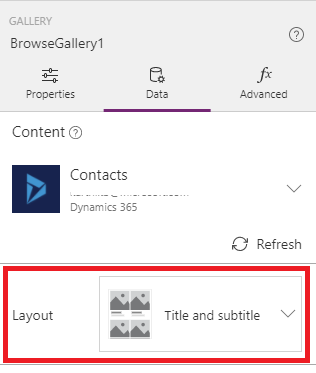 Under Start with your data, click Phone layout on the Dynamics 365 tile. 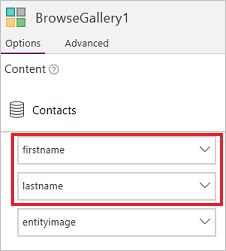 Under Connections, select the connection that you want, and then choose a dataset, which corresponds to the instance of Dynamics 365 that you'll manage in the app. Under Choose a table, click Contacts, and then click Connect. In the left navigation bar, click or tap an icon in the upper-right corner to switch to the thumbnail view. 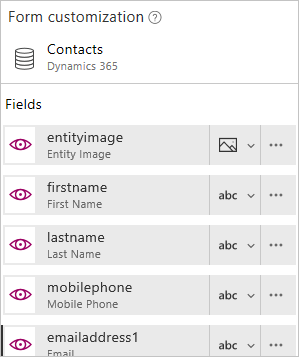 PowerApps generates a three-screen app based on contact records. BrowseScreen1. This screen appears by default when users open the app. In the left navigation bar, a thumbnail for this screen appears above the other two screens. DetailScreen1. This screen appears when users click an item in BrowseScreen1. In the left navigation bar, a thumbnail for DetailScreen1 appears between the other two screens. EditScreen1. This screen appears when users click the edit icon for an item in DetailScreen1. In the left navigation bar, a thumbnail for EditScreen1 appears under the other two screens. The app can run in its initial state, but we can make it more useful by refining the information on each screen. In this procedure, you'll configure BrowseScreen1 to show the first and last names of each contact. The data will be sorted alphabetically by last name and include images in a two-column grid. In BrowseScreen1, select the gallery by clicking any record in it except the first one. In the right-hand pane, click or tap the Data tab. In the list of layouts, click or tap the one that shows pictures and text in a two-column grid. You might need to scroll down to show this option. 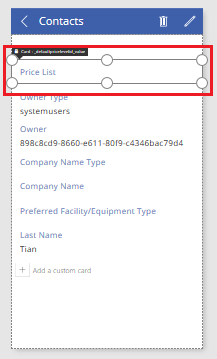 In the right-hand pane, set the top drop-down list to firstname and the middle drop-down list to lastname. (optional) On the File menu, click Save as, type a name for the app, and then click Save. By default, the app will be saved to the cloud. Click This computer to save your app locally. 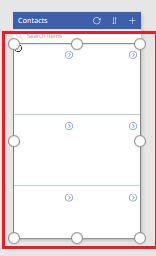 In the left navigation bar, click the middle thumbnail to select DetailsScreen1. On DetailScreen1, click anywhere below the title bar to show customization options in the right-hand pane. 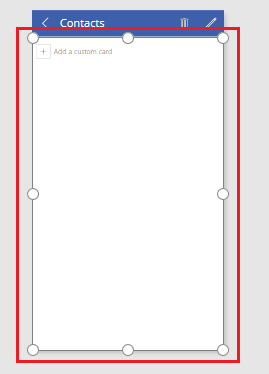 In the right-hand pane, click the eye icon for each field to hide it. Click anywhere under the title bar to select Form1. Select EditScreen1 by clicking the bottom thumbnail in the left navigation bar. Repeat the steps in this procedure to customize EditScreen1 the same way as DetailsScreen1. Test your app in Preview mode by clicking BrowseScreen1 in the left navigation bar and then pressing F5 or clicking near the upper-right corner. Add a second data source.